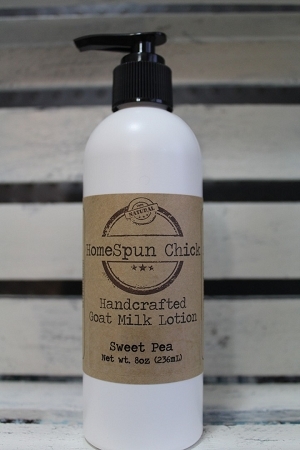 This Sweet Pea Goat Milk Lotion has a sweet floral scent. It's delicate with Pineapple and Plumeria top notes to add a subtle and cheery sweetness to the blend. 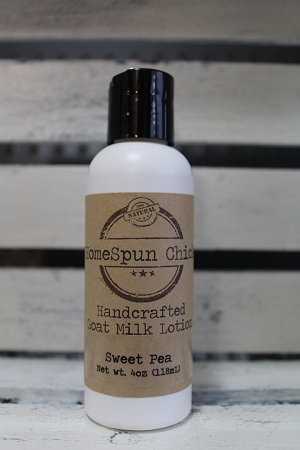 Sweet Pea also has Strawberry and Clover middle Notes and is rounded out with a deep Creamy Musk and Sandalwood. 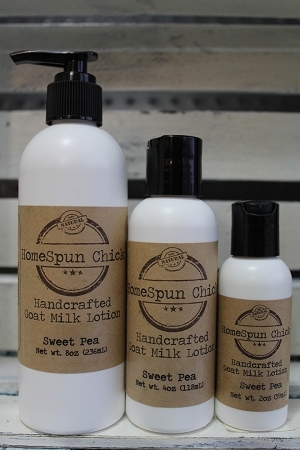 My Goat Milk Lotion is made from all natural ingredients including LOTS of rich creamy Goat Milk, Distilled Water, Rice Bran Oil, an Avocado Oil, Emulsifying Wax is added to combine the Goat Milk and Distilled Water with the oils. Stearic Acid is a vegetable wax used to thicken the lotion. 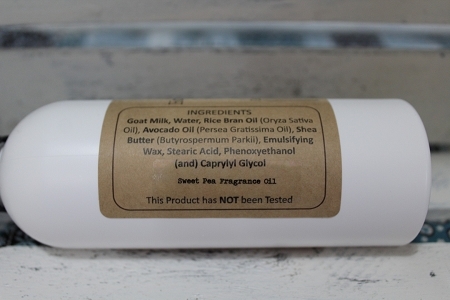 Optiphen is a paraben and formaldehyde-free preservative.